I decided to reinforce the soil beneath the wall to see if I could make it stronger. It had been clay to which I had added paver base (heavy sand). This time I added topsoil mixed with pebbles. That involve removing all four courses of the back wall, plus thousands of pebbles I had put in between the stones to spread the weight. It was a very tedious job. 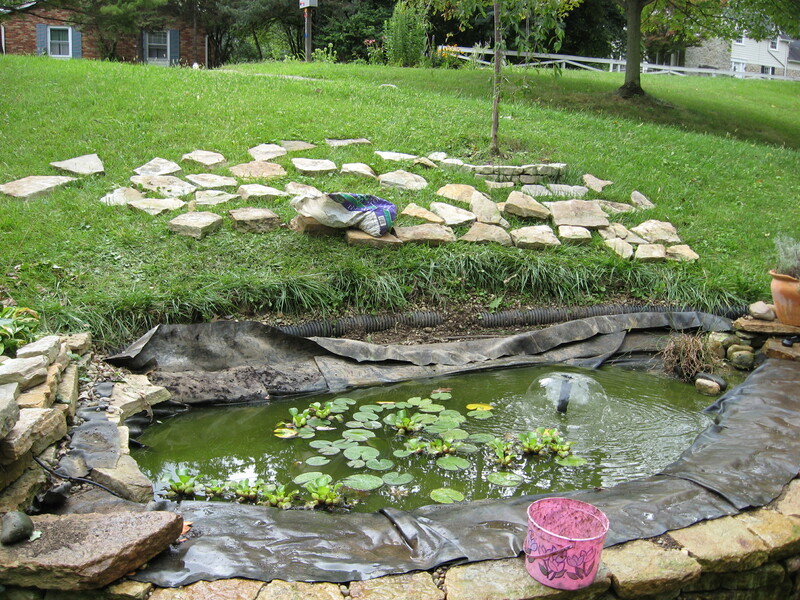 Then I peeled back the vinyl layer that formed the bottom of the pond and put the new base in.